If that scares you (and your students) check out some of the resources below, many available online and at TC. If you’re teaching elementary school, you may already be familiar with these writers of poetry for children: Douglas Florian, Joyce Sidman and Lee Bennett Hopkins. TC has a pretty extensive collection of their books. You can hear Joyce Sidman read some of her books here. 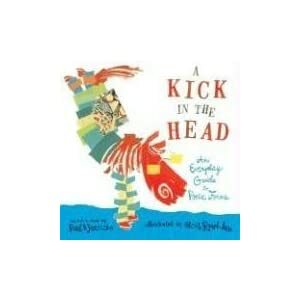 Also recommended, A Kick in the Head: An Everyday Guide to Poetic Forms or Opening a door : reading poetry in the middle school classroom edited by Paul B. Janeczko. Lemonade: And Other Poems Squeezed from a Single Word by Bob Raczka, available through the New York Public Library. Betsy Franco’s A Dazzling Display of Dogs. Stephen Fry, British actor, screenwriter, playwright, poet, comedian, the list goes on, wrote a guide to writing poetry I find absolutely addicting! Fry believes “poetry is a primal impulse within us all,” and teaches the formulas necessary for creating various types of poetry. Go on, try it! You’ll be writing iambic pentamenter in no time—well, okay it took me at least a week to really get it down. There are 20 writing exercise in all. Poetry foundation.org-a plethora of resources including the option to search for a poem by topic. Internet Poetry Archive– The “goal of the project is to make poetry accessible to new audiences (at little or no cost) and to give teachers and students of poetry new ways of presenting and studying these poets and their texts.” Featured poets include Seamus Heaney, Yusef Komunyakaa, Philip Levine, Czeslaw Milosz, Robert Pinsky, Margaret Walker, and Richard Wilbur. Hosted by the University of North Carolina Press and the UNC Office of Information Technology. Indiefeed Performance Poetry Channel. You may know of Indiefeed as a source for music but they also have a poetry channel that features cutting edge poets, and links to their websites and podcasts. Favorite Poem Project– Former U.S. Poet Laureate Robert Pinsky collects videos of Americans reading and discussing their favorite poem. Poetry Out Loud is the official website for the national recitation contest for youth hosted by the National Endowment for the Arts and the Poetry Foundation. Also find lots of writing activities, lesson plans and, well, poetry. Nuyorican Poets Café– hosts writing workshops for high school students, poetry slams on friday, music, theatre and other literary events. Leave your beret and black turtleneck at home, please. Poetry Project at St. Marks Church “promotes, fosters and inspires the reading and writing of contemporary poetry.” They host special events, publish a literary magazine, offer workshops and weekly readings. Thank you so much for this post; what a treat! Very cool resources, nicely put together. It’s a shame poetry has such a scary rep. Thanks for these cool resources! I’ll have to check out the Stephen Fry book too! The Ode Less Travelled is a wonderful book, exquisitely written and wonderfully freeing. Most people feel that poetry, much like art, is something they are not “good at” or don’t quite have liberty to understand. The Ode Less Travelled’s mission is simple, it frees you to write poetry for the most important audience – yourself. It leaves the justification for writing poetry at the door and says that wanting to write poetry is justification enough. Other poems you would like to see on your Web site, thank you from Adana okullari.